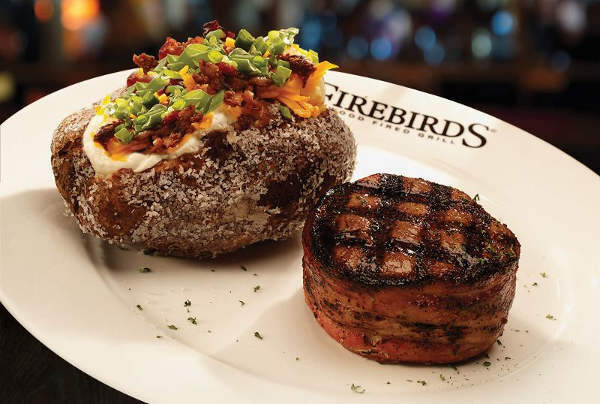 Firebirds Wood Fired Grill is located just outside of Cleveland in Beachwood at I-271 and Harvard Rd. in Pinecrest. We are an American Restaurant and Steakhouse known for our scratch kitchen, bold flavors and inviting atmosphere. Enjoy our signature menu items including hand-cut, aged steaks and fresh seafood or our specialty crafted cocktails and select wines. Join us for Happy Hour at the FIREBAR ® or on the patio. We offer top-notch service and upscale dining at a modest price. Call to place your order for pick-up. Located at I-271 and Harvard Rd. at Pinecrest in Orange Village.